Waxwing Atelier stocks, designs + manufactures objects of enduring beauty. Our interest is in providing you with garments and accessories that support your evolution and practice. We want you to feel the power, grace and comfort of your true beauty. 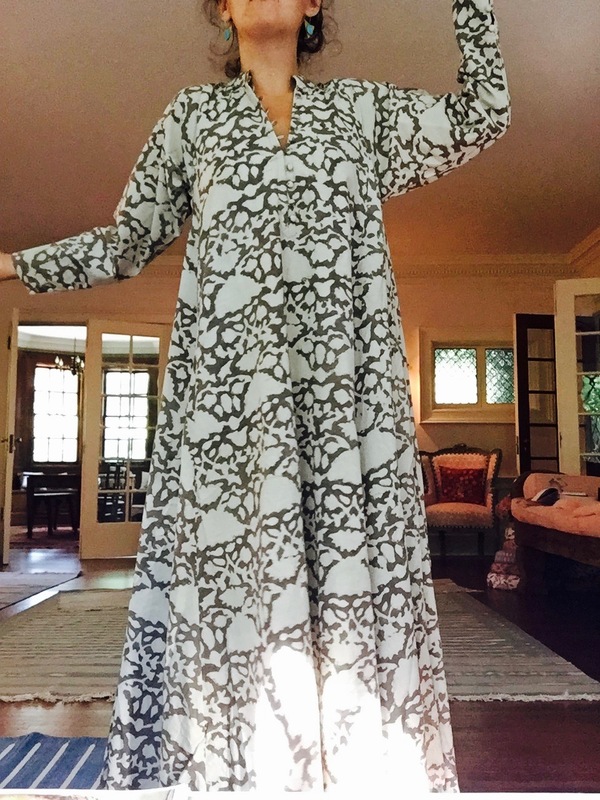 Our products are ethically produced and globally sourced and include our own line of women's clothes + home textiles. The roots of Waxwing Atelier lay deep in the heart of Brooklyn, where Luisa + Rishi maintained their first shop, Umkarna, for many happy years. 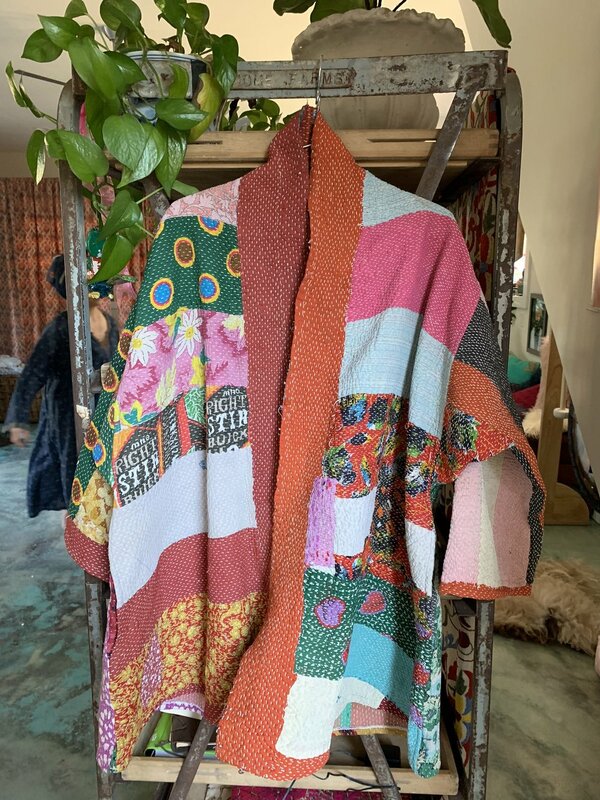 The vibrations of Umkarna's globally sourced antique textiles and jewelry, home accents and women's and children's clothing infuse many of the styles the cooperative produces today, over a decade later. 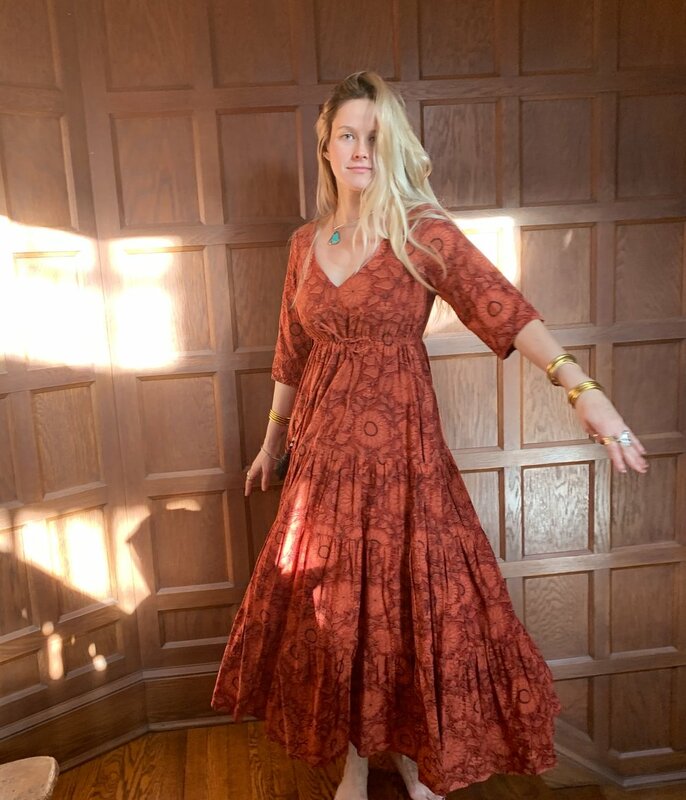 Currently Waxwing is producing small batches of clothing and accessories to support your spiritual practice, with a special emphasis on garments that foster a sense of grace, comfort + victory. 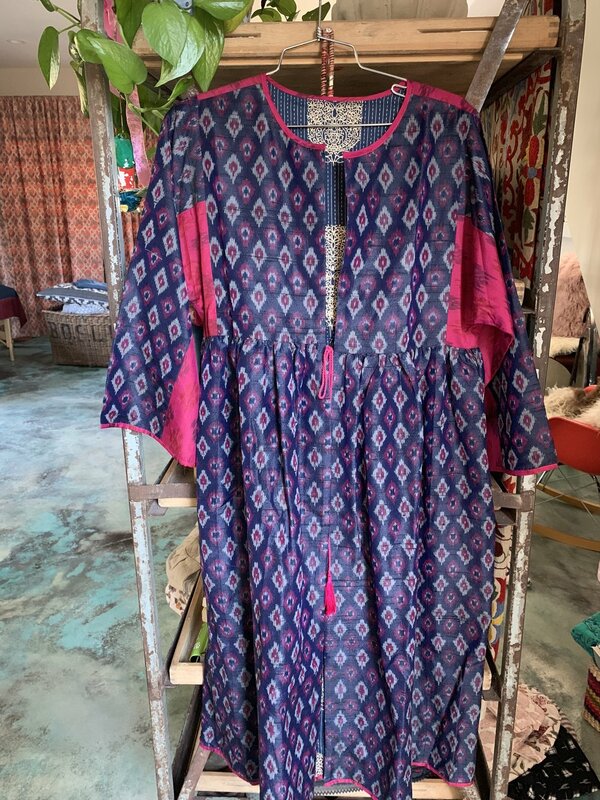 Sourcing fabrics directly from the individuals and families that manufacture our Khadi, Ikat + Block Print cottons, we seek to improve the lives of the makers and users both. Feel free to inquire about whole sale + custom projects.